We're seriously loving this look from Nicole Warne's Instagram. 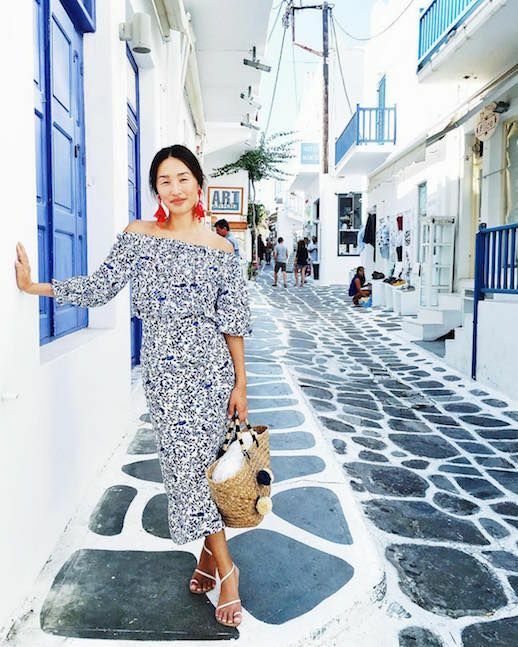 The best part about maximalism (the opposite of normcore) is that even with this busy print, a pair of bold tassel earrings compliment the look rather than complicate it. To add even more detail, she added a basket beach tote with dangling poms. More is more.